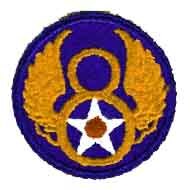 I don't normally include things from the Eighth Air Force, but the story of Ray Parker is too good to ignore. The first video tells Ray's story from the beginning of the war on. Subsequent videos cover additional parts of Ray's experience. Over 70 years ago our country was attacked on its own land. The brutal assault by the Japanese on Pearl Harbor marked the beginning of World War II for the United States. It also marked a new beginning for young Ray Parker. 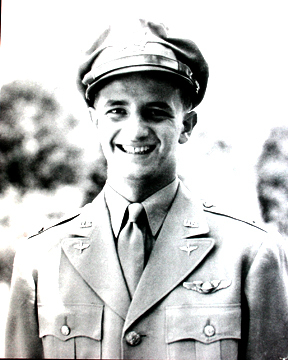 The day after the attacks, at the age of only 18, he joined the Army Air Corps. He became a navigator on a B-24 Liberator Bomber and was part of the allied effort of relentless bombings that brought Germany and Italy to their knees. His first mission was lead by the movie star, Major Jimmy Stewart. On his 10th mission his plane was shot down behind enemy lines. Ray survived the parachute fall only to be quickly captured by the Germans. Interned at a Prison camp, he was approached by the American Commanding Officer and asked to secretly edit the underground newspaper. Ray quickly agreed - knowing he was risking his life, but realizing the paper was the best way to keep up the spirits of the 9,000 prisoners of war being kept at Stalag Luft 1. With the help of a radio hidden in a wall of the British barracks, Ray was able to get timely information on how the war was progressing and secretly edit together a paper that was stealthily passed around the four compounds of the camp. He evaded being found out by the prison guards up until the very last month of the war. This Documentary takes Ray Parker back to that time as he recounts his tales of battle and imprisonment. It is important to remember that Ray’s story is just one incredible account out of over 16 million Americans who helped combat these forces of evil. They fought and sacrificed for our liberty. The stories of these men and women from World War II are being lost at a rate of over 2,000 a day. I hope to continue to capture their personal histories, and to share them with the country that they so fiercely battled for. Copies of the Ray Parker DVD may be ordered by going to In Times of War.